These earrings are classic. Estately. 23.24 carat total weight of GIA certified green emeralds with amazing vibrance and transparency are suspended on the ears. The gem source is Brazil. 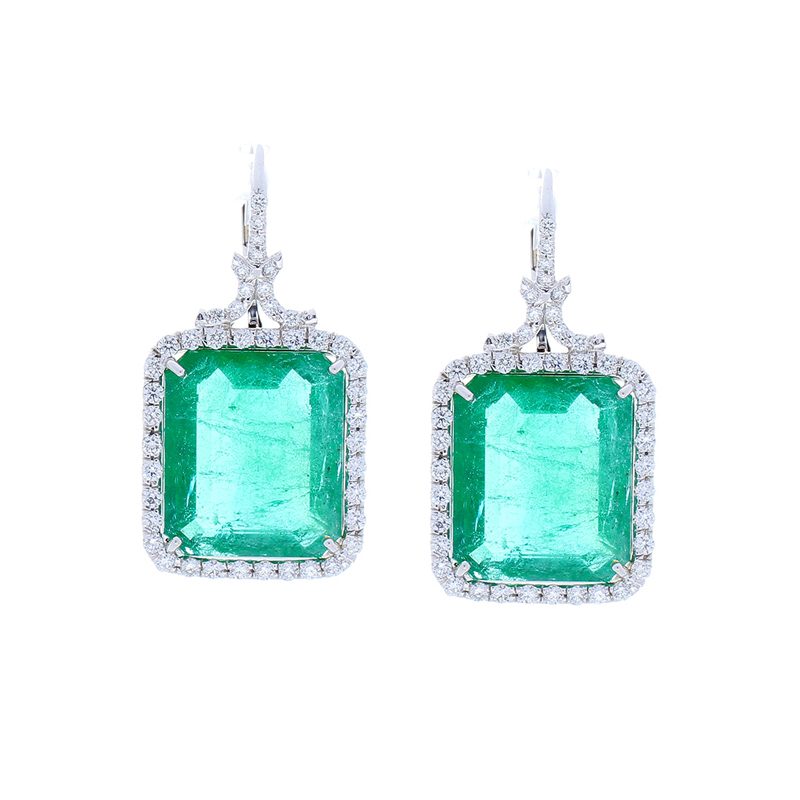 These are perfectly matched emerald cuts framed by the elegant sparkle of 1.08 carats of brilliant diamonds in a 18k white gold setting. Enjoy them, wear them. These are worthy to pass down to your next generation.